Xiaomi could already be preparing the upcoming Redmi 3 smartphone. 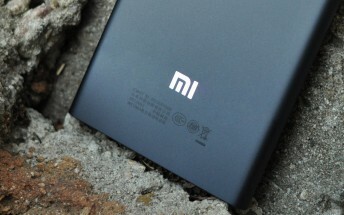 A new Xiaomi device has surfaced courtesy of Geekbench. 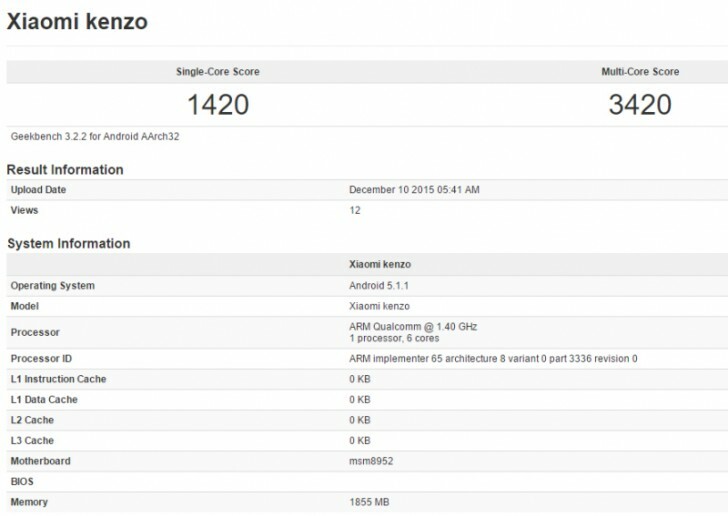 The benchmark has been run on a handset codenamed Kenzo, which sports 2GB of RAM and runs Android 5.1.1 Lollipop. Based on the motherboard name being MSM8952, it looks like this Xiaomi is powered by the Qualcomm Snapdragon 617 chipset (because MSM8952 is its model designation). However, the SoC in question features a 1.5 GHz octa-core Cortex-A53 CPU, whereas the device that ran Geekbench only had six cores active and they were capped at 1.4 GHz. This is contradictory information, but device makers have been known to turn off cores when developing phones in order to test different scenarios. And benchmarks have also at times erroneously reported such details. No other information has been leaked about the Kenzo, but it stands to reason that this could be the Redmi 3. The RAM amount and SoC used fit a mid-range offering, and the Redmi Note line has recently been updated - that leaves only the smaller Redmi in need of a hardware refresh.